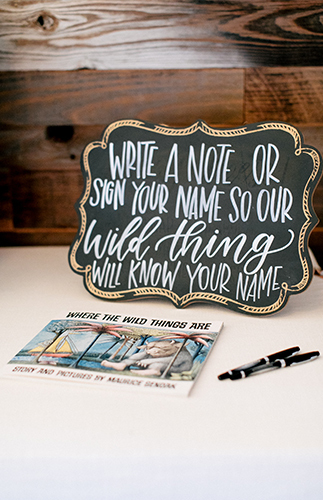 Don’t let the title make you think of monsters and scary forests, this Where the Wild Things Are baby shower takes an elegant (but still fun!) 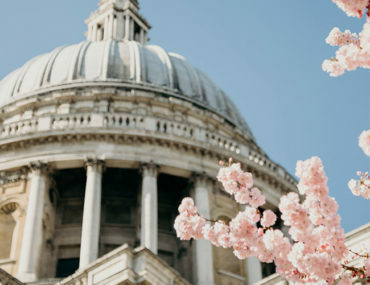 approach to the theme based on the popular children’s book. 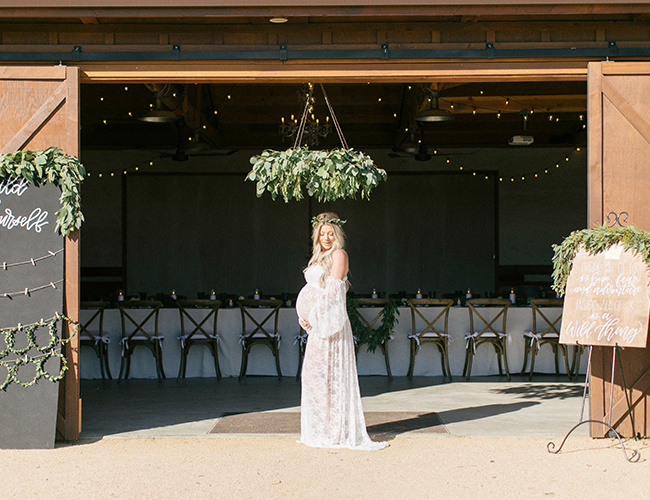 Taleen Shirikian of Simple Little Details decorated the barn with greenery and woodsy elements, and included gold crowns and signage that featured quotes from the book. 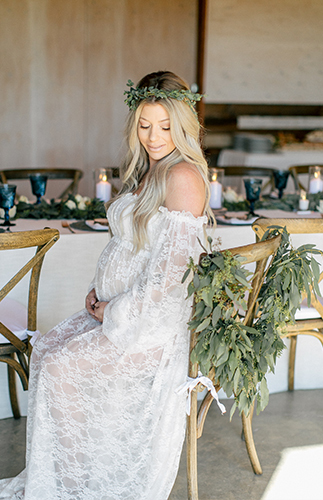 We love the subtle way she incorporated the theme, while still keeping the shower modern and feminine for the expecting mama. 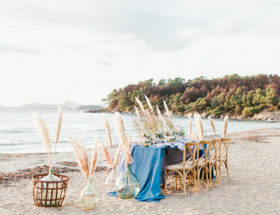 Read on for all that went into making this day one ‘wild’ celebration! 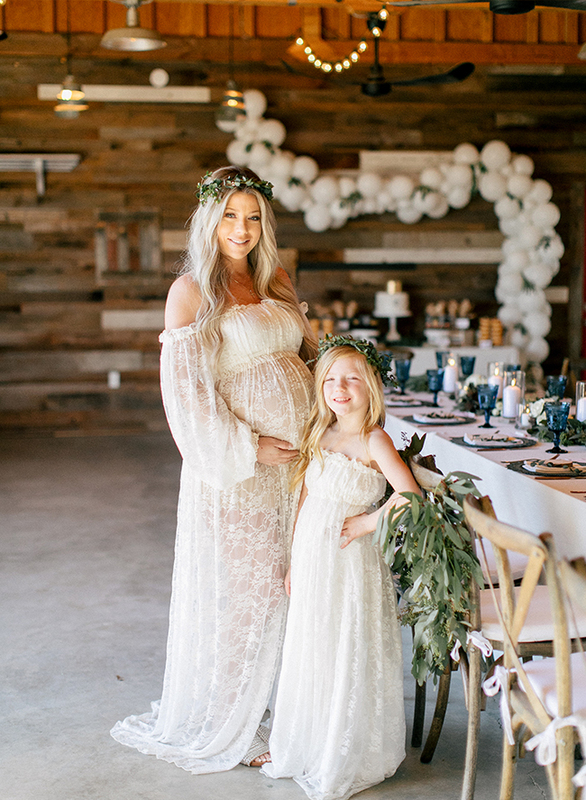 Taleen says, When Amber came to me with the idea of doing a baby shower based off the book “Where the wild things are” I immediately fell in love with the idea. 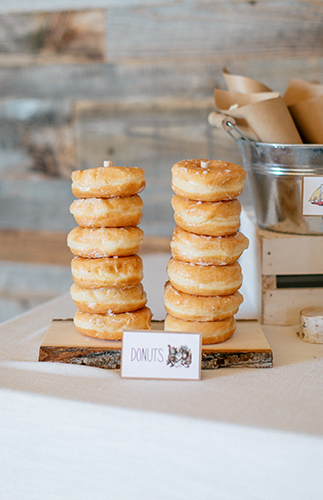 She wanted it to have a rustic feel with a nod to the book. 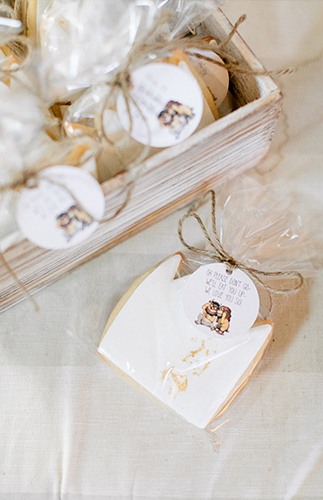 We incorporated quotes and imagery from the book in clever ways without taking the theme too literal. 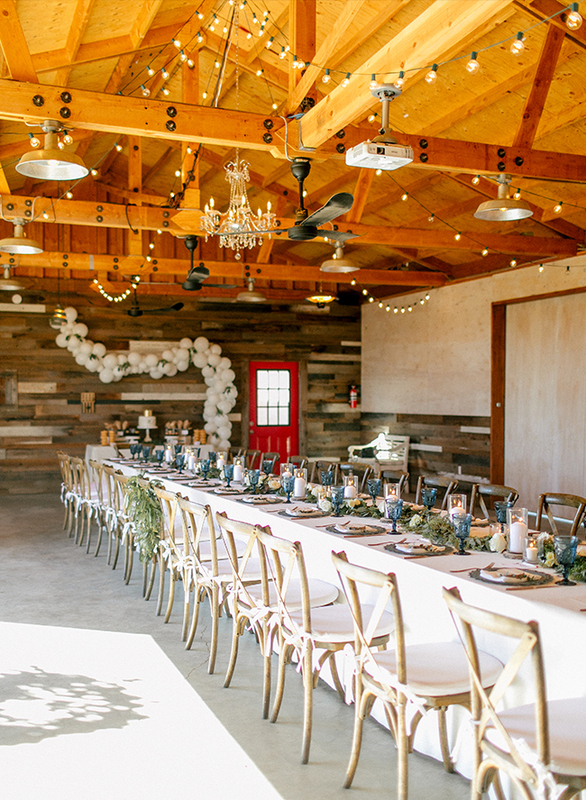 The event took place in a barn on a private estate. 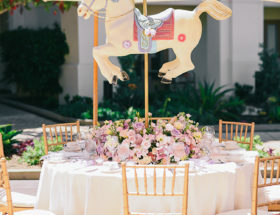 As guests arrived they were welcomed by a wooden sign with hand calligraphy that said “Inside all of us is hope, fear and adventure. 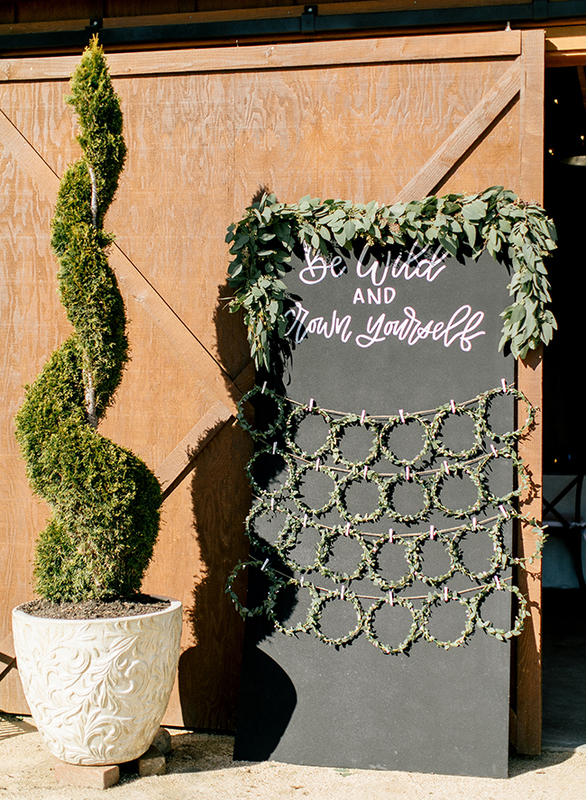 Inside all of us is a wild thing.” We also created an oversized chalkboard that said “be wild and crown yourself” with hanging floral crowns for guests to grab and wear. 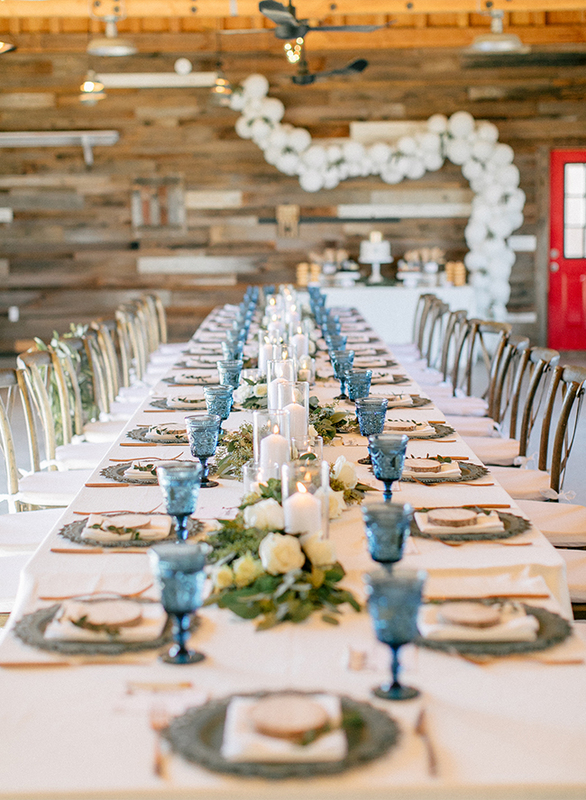 We created a long family style table with rustic crossback chairs and a simple white linen. 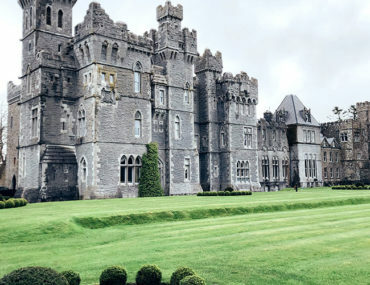 There was a green garland running down the center with roses tucked in and pillar candles. 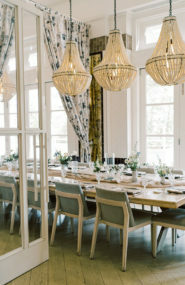 We loved the chargers that were used because it gave both a rustic and “wild” feel with its sharp edges. 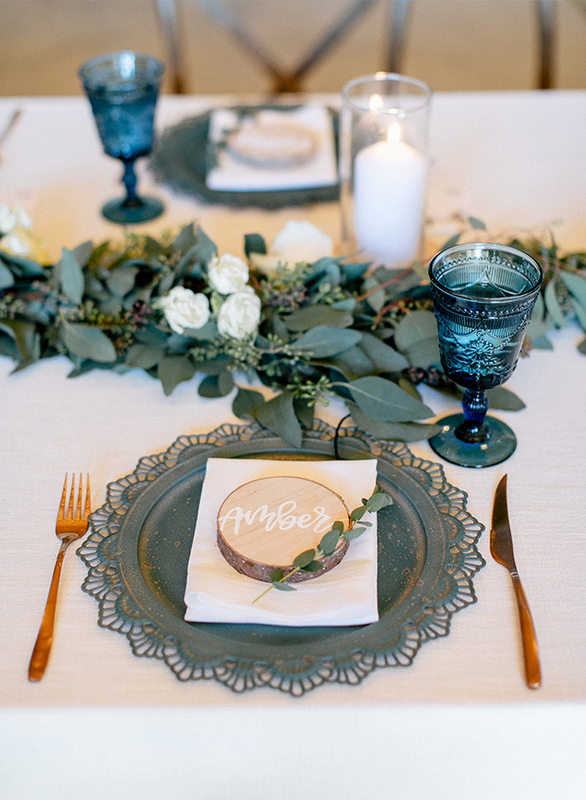 Each persons setting consisted of a wooden slice with their name and a sprig of greenery to go across. 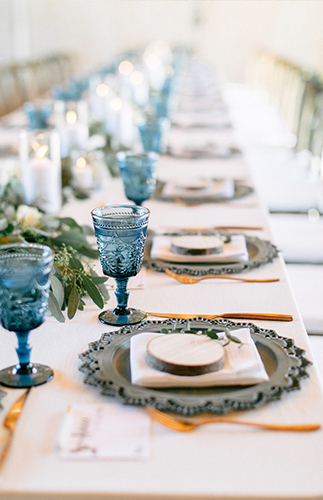 The blue water goblets gave a beautiful pop of color to the tables and also reminded us of the blue color on the cover of the book. 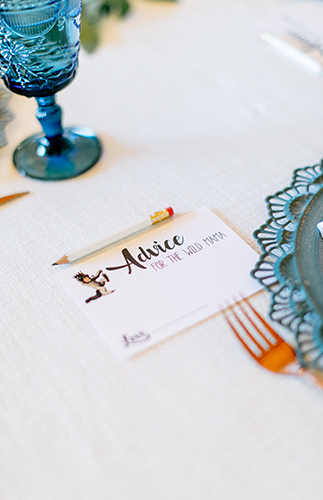 Each guest had an advice card in front of them to provide advice for the “wild mama”. 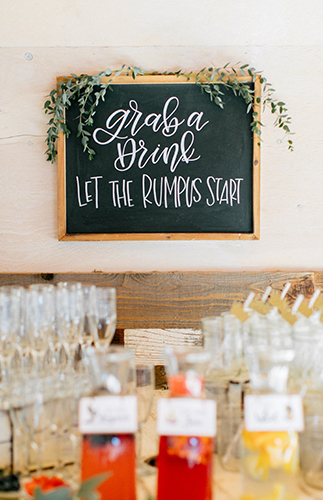 The drink station had a hanging sign above that said “grab a drink, let the rumpus start”. We created a high low effect with the glasses by using crates. 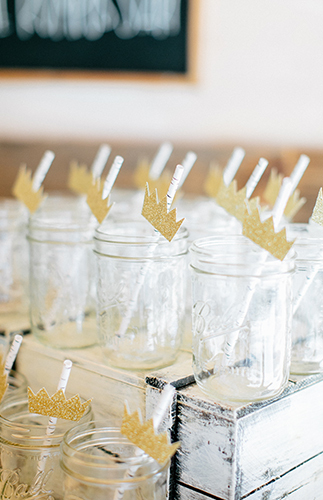 Amber loved mason jars so we added a paper straw that looked like tree bark with a gold crown attached. 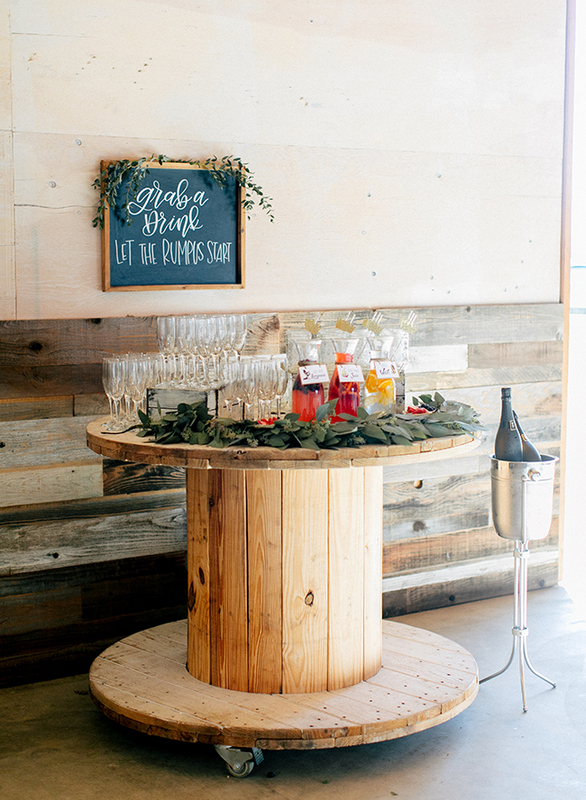 The drink station featured wild berry lemonade, blood orange juice, and citrus water. 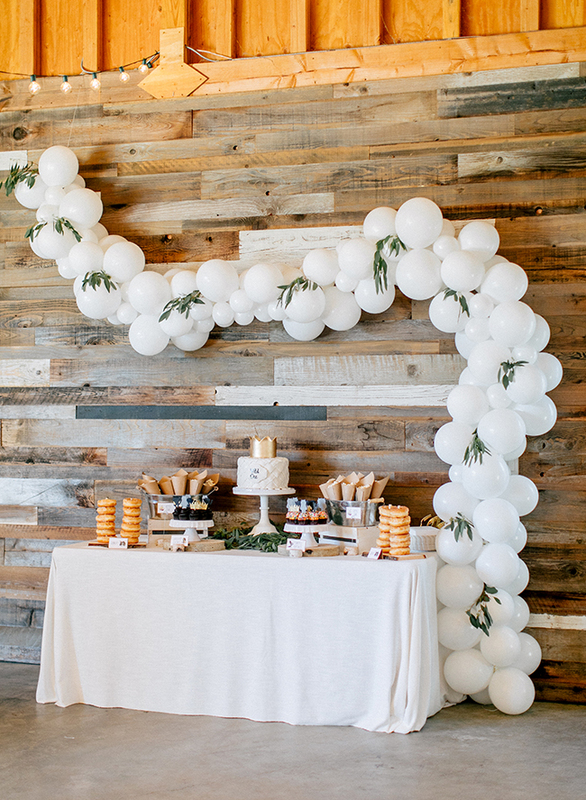 The dessert table had a balloon garland draped above with greenery tucked in. 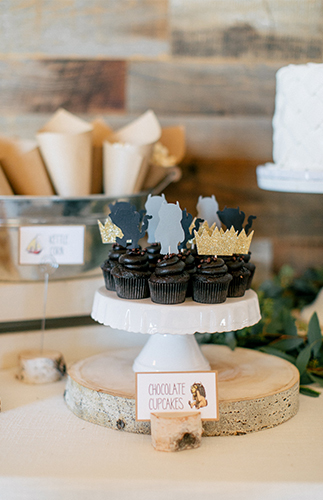 The cake really embodied the theme with its pointy fondant layers and crown on top. 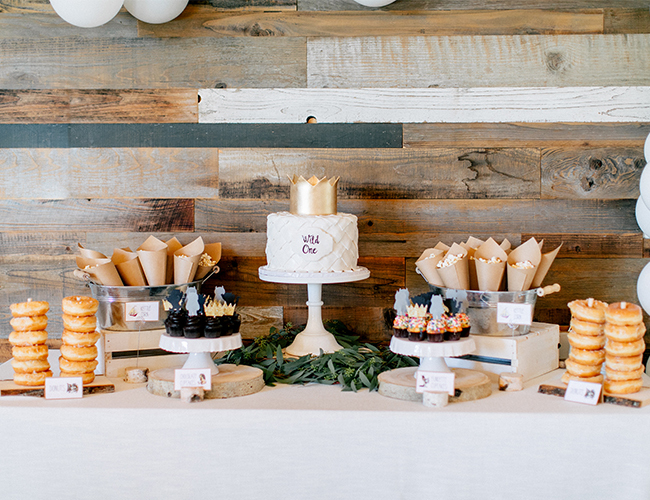 We incorporated some of Amber’s favorite desserts and displayed them in unique ways with rustic wooden slices and cake toppers. 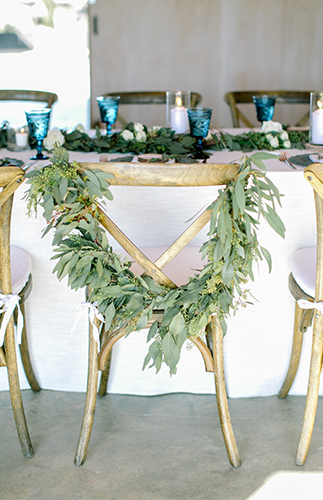 Obsessed with all of the greenery! 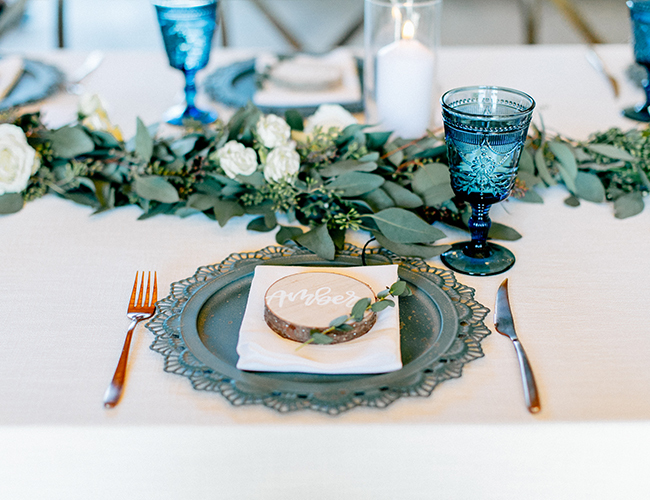 The table settings are so pretty! 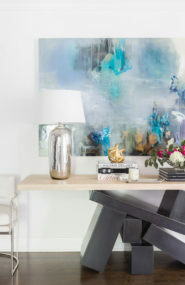 Love the blue glasses! 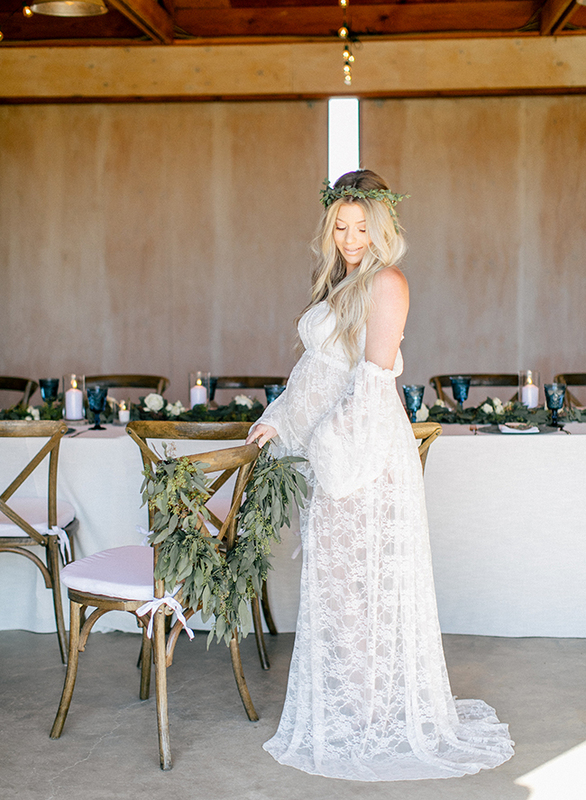 Her dress is absolutely stunning! This was my favorite book growing up, and I love how they incorporated the theme here! SO cute!